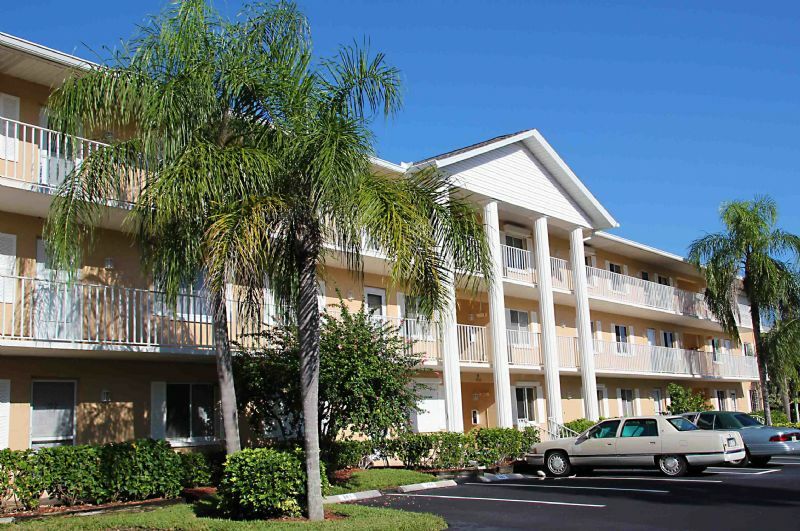 Conveniently located in Royal Harbor, Naples Sandpiper Bay Club is a community of modern condominium homes just a mere 5 minutes to the heart of Naples Fifth Avenue South and it's highly acclaimed restaurants, shopping and beaches. This comfortable 1200 square foot residence offers a master bedroom suite plus a guest room, 2 full bathrooms and a screened lanai with peaceful views of a wooded area. A ceramic tiled entry foyer welcomes you into the sunny breakfast room and pass-through kitchen, complete with every appliance and fully stocked with every necessity and convenience. A laundry room with full-size washer and dryer is located inside the unit. The living room and dining room feature vaulted ceilings and are nicely furnished. Community amenities include 2 large outdoor pools, grilling and picnic areas. For the sports-minded, all land and watersports are available nearby.